In this blog post, we will show you how to setup JMeter WebDriver Sampler. Before that let’s understand why we need the WebDriver Sampler. Ensuring software product quality involves both functional and non-functional testing. For non-functional testing, our focus is more on load and performance testing. Gatling and JMeter are widely used open-source performance testing tools. 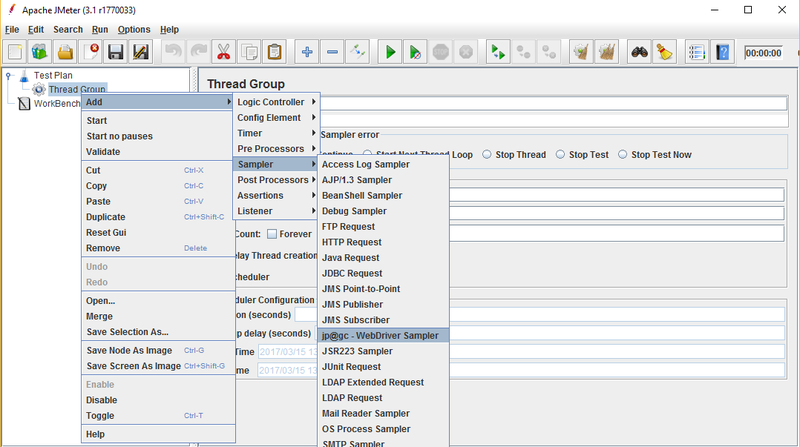 In JMeter, we have WebDriver Sampler. 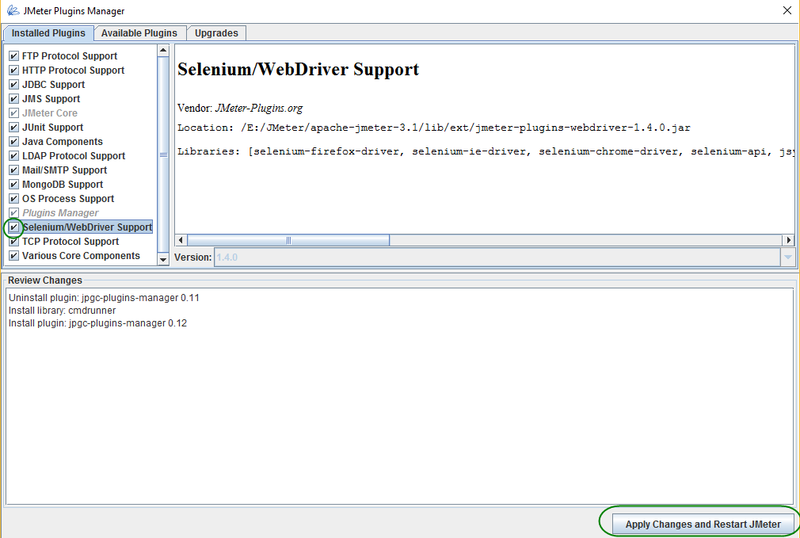 Why do we need Selenium webdriver in JMeter? Using JMeter HTTP sampler, you can measure server response time. However, Selenium webdriver sampler leverages to measure the end user load time. Let’s see how to setup WebDriver Sampler in JMeter. Click Available Plugins, select Selenium/WebDriver Support and click ‘Apply Changes and Restart JMeter’ button. 1) Right click on Test Plan and click Add->Threads(Users)->Thread Group 2) Right click on Thread Group and click Add->Sampler->Webdriver Sampler We hope this article is helpful. In the subsequent posts, we will show you how to write scripts in the sampler editor.